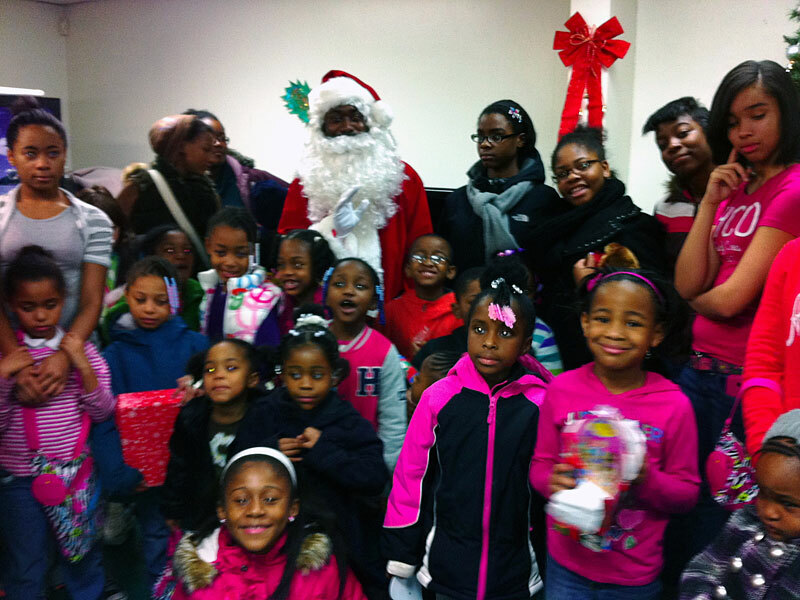 There is nothing harder for a mom than to have nothing to give her children on Christmas morning so, JC Family Resources, for the past five years, has organized a Christmas Party in Newark, NJ to provide for mothers in need. Thousands of donated toys and clothes are made available to mothers where they can select what they like for their children. In the gym, Villa girls, girl scouts and volunteers watch the children as they have fun. There are jumpies, games, crafts, Christmas cookies, live music, dancing, Hess trucks, and of course, a visit from Santa where each child receives a wrapped gift.